Medical Insurance Australia Pty Ltd provides the insurance policies that protect its medical clients. 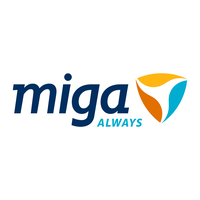 MIGA’s loyal and growing client base is serviced by offices in Adelaide, Brisbane, Melbourne and Sydney. It’s insurance products protect not only doctors but also medical students, midwives, medical practices and healthcare organisations. Important insurance claim information would be printed and stored manually in filing cabinets. With no digital autonomy, finding documents would be timely. A document management system was proposed to the MIGA team to allow for simpler document traceability and seamless integration with other in-house applications like iBais. The effectiveness of M-Files’ document management system seemed like the perfect addition to assist MIGA in their tractability issues. Through the creation of an M-Files vault and custom integration services, MIGA can import PDF and XML files produced by external portals like iBais simplifying the process of updating insurance claim information. With M-Files in place, MIGA can maintain the latest document information for the claim services team to access. Since the M-Files integration, MIGA has greatly improved their ability in locating current claims information and creating file note records and claim assessments. With M-Files, all document correspondence is noted, fully searchable and easily located in one vault. Physical filing management is no longer needed, with digital autonomy saving time and creating greater efficiency within the company.